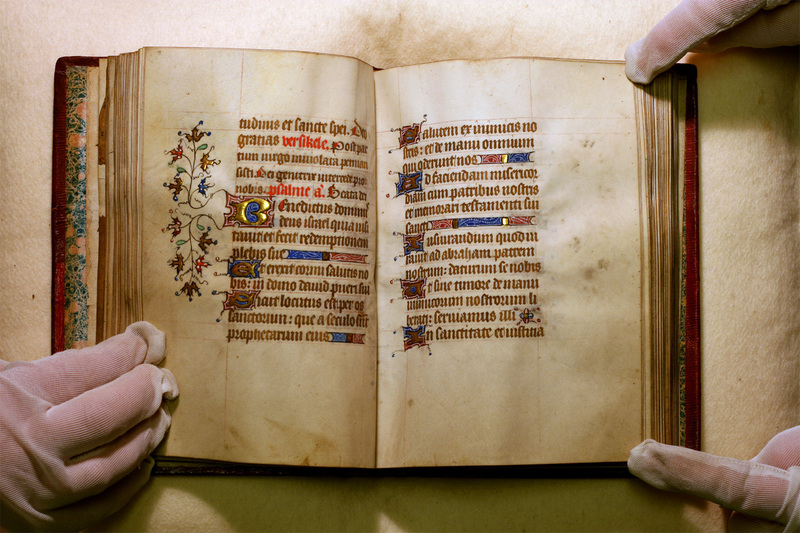 Book of hours : with calender and rubrics in Dutch. Holland : Place unknown, 15?? Written in gothica textualis on vellum. 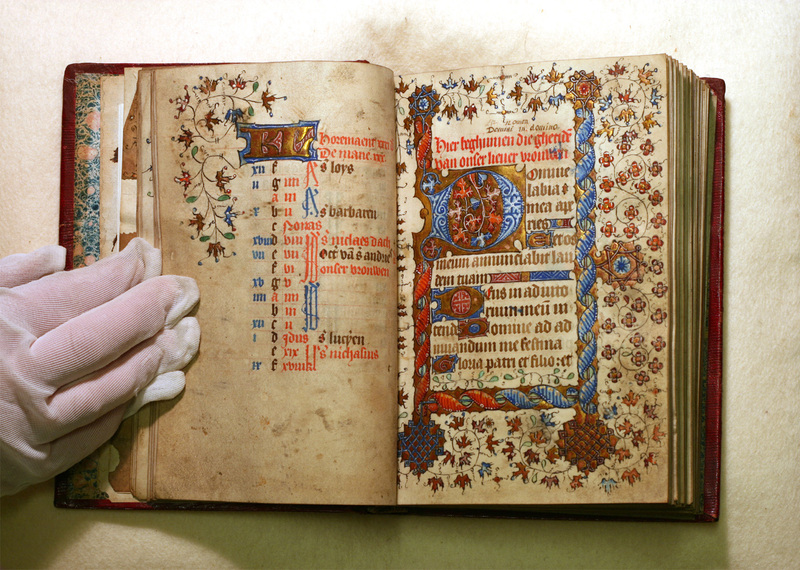 Written in gold; Calendar in Flemish, in red and black; feast and translation of St Romuald of Mailines are in red; blue gold and green ornamentation, illuminated initials and borders. 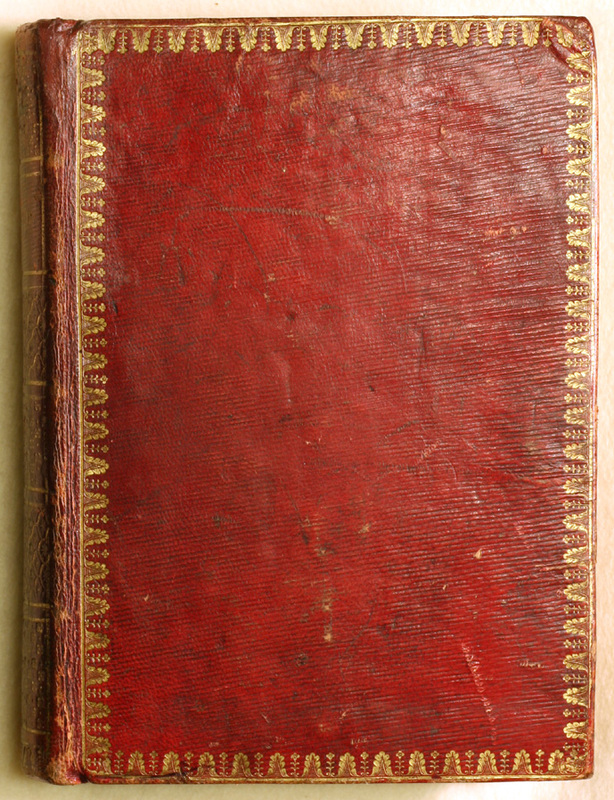 Red morocco binding with gold design on cover and spine, pink marbled endpapers: French binding of the 19th century. The signature “Anna Portebois” occurs on f.17v. in a 16th or 17th century hand. This one is everyone’s favourite, to the extent that we recently had to have the binding conserved. Sadly the second half of December is missing.